← What Does A Film Producer Do? Beau Flynn Breaks It Down. I was very excited to try on “Frenchy’s” original jacket – stains and all! This year “Grease” is 40 and 40 years on, “Grease” is still the word. 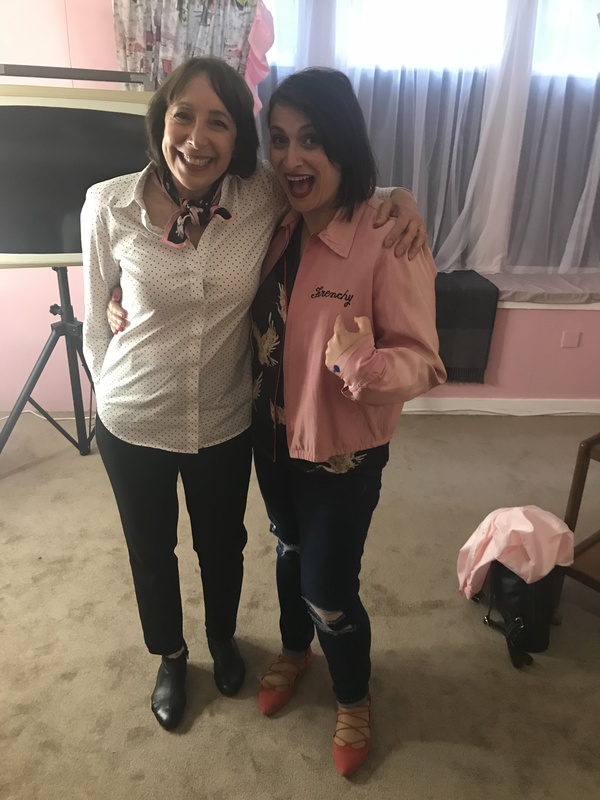 I was lucky enough to to catch up with the original Pink Lady and beauty school drop out, Didi Conn when she was in London, with thanks to Now TV, celebrating this milestone. Didi revealed what it was like to be “Pink” , how hot those summer nights really got and what happened after graduating from “Rydell High”. She also shared what modern cinema can learn from the classic that is “Grease”. 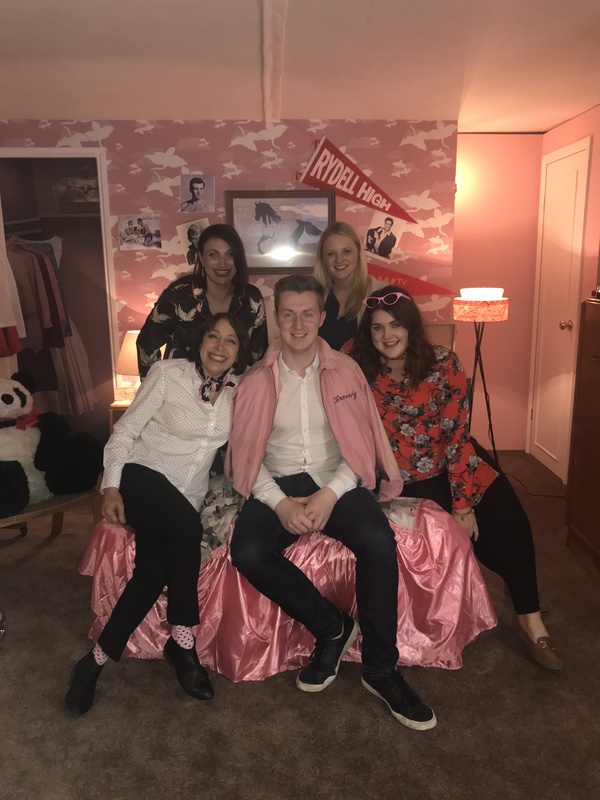 “Grease” is now available on streaming service NOW TV with a Sky Cinema Pass. NOW TV is an online streaming service which features the very best TV, movie and box set content, all without a contract. Signing up is easy, simply visit www.nowtv.com/ie and sign up for your 14-day free trial. This entry was posted in Interviews and tagged 40th Anniversary, Didi Conn, Frenchy, Grease, Pink Ladies, Sarina Bellissimo, The Bellissimo Files. Bookmark the permalink.